I’ll piece together the info I’ve received to give you a picture of my understanding of what is happening to stop the guessing. – All parties are optimistic about his treatment; however, I will not tell you that it is 100% happening. The neck is tricky. For now, they have been toying around with Jeffrey McCulloch at Mac linebacker to see if they can get Caleb Johnson on the field alongside him at Rover. However, the plan right now is Ayodele Adeoye as the Mac and McCulloch as the Rover to start. As was stated in the comments by one user, it is likely Texas will go after a graduate transfer linebacker after the Spring. This entire Spring, I have been keeping a close eye on the running backs, especially Jordan Whittington. While it may not be the deepest position on the field, I feel safe in saying that if healthy, Keaontay Ingram and Jordan Whittington will be a massive boost in the backfield. They have both had their fair share of torching the 1s during scrimmages and practices. While Keaontay Ingram has been more consistent, Jordan Whittington gives the home run (>30 yards) factor out of the backfield that Keaontay Ingram simply didn’t last season. However, their impact will mainly be felt through the air. The duo of Ingram and Whittington have the staff buzzing about what they can do through the air. Both have proven to be exceptionally talented in the passing game. Keaontay Ingram proved this multiple times last year, and I’ve heard from people watching practice that Whittington may be Texas’ best ball catching back since Chris Ogbonnaya back in 2008. Not to mention the more traditional passing weaponry that Sam Ehlinger has access to. Guys like Josh Moore have proven to be electric with the ball in their hands when Ehlinger passes to him (he prefers the big guys). We’ve already reported that Epps and Eagles have been coming into their own as they take advantage of the absence of Collin Johnson. Bru McCoy has proven to take to the college game just as well or even better than Jordan Whittington. Oh yeah, Devin Duvernay is still just as good as he was last year. This Saturday, you will see a high flying offense. Part of that is due to the defense, but a lot of it will be because of the weapons on offense. When Collin Johnson comes back to full strength, this offense will be lifted to a new level. With the 2019 Spring Game coming up this weekend for the Longhorns, wanted to bring a visual representation of what Texas is working with on both sides of the ball in terms of depth. – Which corners come to play. With three guys vying for the final spot, opposite of Anthony Cook, which one makes the most of their opportunities on a big-stage game like the spring game. Kobe Boyce entered the spring as the guy at the 2nd corner spot, but Jalen Green has played very well and D’Shawn Jamison has been very impressive as well. – The speed and play recognition of Ayodele Adeoye. The biggest knock on him from what we’ve heard is being a step too slow when it comes to play recognition. – How will early enrollee LB Marcus Tillman look with the 2’s. Tillman certainly looks the part physically, and with Texas razor thin at the LB position, a good performance in the spring game will have Texas fans feeling a bit better about the position. – Will Demarvion Overshown look as advertised? Overshown has been one of the most talked about players on the board due to his freakish size and athletic ability, however he’s been reluctant to find the on-field hype as several other guys in his class have found so far. – With Brandon Jones and Caden Sterns out due to injuries, can Montrell Estell and Chris Brown keep up with what is expected to be a very talented offensive passing attack? Keep an eye on Brown as a candidate for having the biggest hit of the game. Dude’s the definition of a headhunter. – Will Malcolm Roach look like a guy that is destined for the NFL? After being touted early on this spring as the defensive leader of the Texas D, looking the part in the spring game will be a good inclination of a great year ahead for the senior DE. – The nose guard battle between Keondre Coburn and Gerald Wilbon has grown significantly closer as spring has progress. – JUCO guys Jacoby Jones and Caleb Johnson each have an opportunity to find the field pretty early this season. They will be running with the two-defense most likely. – Watch Moro Ojomo bounce around the defensive line. So far this spring he has been bouncing in-and-out from an edge pass rusher to a 4i to a straight up nose. He is incredibly versatile and will see the field a lot this fall. Welcome back to another edition of Thirsty Thursdays! 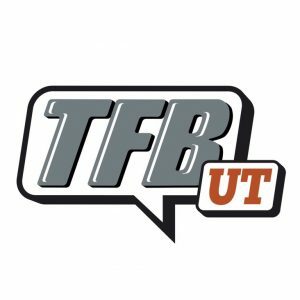 As always, I’m here to try to help quench your thirst for Longhorn Football in the drought of the offseason, along with other topics of interest in Longhorn sports this week. As we draw nearer to the 2019 Texas Spring Game taking place this weekend, I thought that today would be a good time to talk about some players that haven’t grabbed a ton of headlines this spring that I will be excited to see. OT Tyler Johnson – No, Johnson isn’t expected to play a big part in this 2019 season but I’m excited to get eyes on him for the first time on Saturday. As a kid that should still be in High School right now, Johnson is the highest rated Offensive Lineman that Tom Herman has signed since he’s been at Texas. He will be going against the first-team defense, so he will have to hold his own against battle-tested guys like Malcolm Roach and Taquon Graham. Johnson represents the future of the program and I’ve personally heard rumblings that he could be pushing to play earlier than expected. Look for big #72 when the second unit offense is on the field. DE Jacoby Jones – Jones was one of the top-rated JUCO Defensive Linemen in the nation for 2019 class that was a late flip from Oklahoma to Texas. Because they are on borrowed time, JUCO players don’t choose schools where they don’t feel like they can make an immediate impact. Jones has drawn praise this spring as a guy that will for sure be in the rotation when the fall season arrives. Texas hit a home-run with Gary Johnson two years ago from the JUCO ranks, if they can hit on Jones this year, it could provide a big boost to the defense. Jones will get a ton of action of Saturday and I’m going to be watching him closely. Where Do the Answers Come from at Linebacker? With the news coming out that big-time Freshman LB De’Gabriel Floyd would not be available for the 2019 season, I immediately started thinking about what a solution could be for Texas. Floyd was a prized recruit that enrolled early and was expected to be a big contributor this season. Texas was very thin and inexperienced at the LB position this spring even with Floyd being present. Texas currently has only four scholarship players for their two true Linebacker positions. Dele Adeoye and Jeffrey McCulloch are the starters at MAC and ROVER, respectively. Caleb Johnson is cross-training at MAC and ROVER, while Marcus Tillman is working primarily at ROVER. McCulloch, is the only one that has any experience starting at the collegiate level. Where are the answers going to come from? My answer is simple: David Gbenda. Gbenda was a consensus 4-star recruit across the three major publications. Yet somehow, he is often a forgotten man by fans and those that follow the team when discussing the 2019 recruiting class. Maybe it is due to him being part of a class that included four LBs, three of which were able to enroll in the spring from out of state (Floyd, Johnson, Tillman). He is a low-profile guy, that doesn’t care for the spotlight or a ton of attention. He verbally committed to Texas on September 30 of last year after having his mind made up and keeping it under wraps for a while. Don’t let the quiet demeanor fool you. This is a very bad man on the football field that is a tackling machine. He was the top option available at the Inside LB position in-state last cycle and he is a tremendous fit for the style that is played in the Big XII with his athleticism and comfort playing in space. I’m expecting Gbenda to come in and be a standout on special teams early, before earning snaps on the defensive side of the ball as the season takes shape, especially on third downs and in obvious passing situations. I remember Gbenda being a very pleasant surprise for myself when I was watching the Under Armour game back in January. I knew he could run, but I was impressed with how well put together he looked and how physical he was while competing against the nation’s best. After a full week of practices, it was Gbenda that was the selected to be the starting Mike for his team instead of some of his higher rated teammates. That should tell you a little something about the young man. The first 35 seconds of the video below give you a look at Gbenda against some of the nation’s best a few months ago. Last week, I introduced Jalin Conyers to you guys as a name to start getting familiar with. As luck would have it, I was able to connect Conyers’ mother, Kimberly, and she informed me that the family is slated to be on campus this weekend for the 2019 Texas Spring Game. Texas has recently started recruiting the talented 6’5, 215lb Athlete from West Texas with the intention of getting him to campus and figuring out where he best fits later. Conyers averaged over 20 yards per catch as a Junior, totaling 1,225 receiving yards and 19 receiving touchdowns, while also adding 4 scores rushing. On defense, he added 50 tackles (6 for loss) and 4 interceptions (1 return for TD) while lining up at Safety, Linebacker, and sometimes even Defensive End. How big of a role will the team atmosphere play in his decision? I too, get the impression that if he has a choice, Conyers would likely choose the offensive side of the ball. While Texas has a chance to make a huge impression this weekend, there will be some stiff competition for Conyers signature if/when the Longhorns decide to make an offer. On top of offers coming in from the likes of Oklahoma, Michigan, USC, Georgia, and Oregon in the past few weeks, Conyers has an interesting fact about himself. He grew up a fan of an in-conference foe. In my opinion, it is a great sign that Texas is able to get Conyers on campus for an unofficial visit while the (closer) competition has events happening on the same weekend. If Texas offers this weekend, as expected, I believe that the Longhorns are going solidify their place among Conyers’ top schools and will factor very heavily into this recruitment. While an early decision is not out of the question and things are always fluid in recruiting, look for Conyers to make a decision sometime before his Senior season begins. The depth along the defensive front is proving to be equally as strong as the depth along the offensive front in this loaded 2021 class. I’m waiting for some more Defensive Tackles to start popping up, but there are numerous guys in the class that have the body types and versatility to play both inside and outside along the line in college. In what I expect will be a rarity, there are two pairs of teammates that meet the criteria early. Desoto played Turner last season in a role that is similar to the B-Backer position that Joseph Ossai currently occupies for Texas. He can be seen on tape making plays rushing off of the edge, dropping back in coverage, or breaking down on ball-carriers in space. Turner is an elite talent that I believe should factor heavily into the discussion for the top defensive player in the in-state class. He grew up cheering for Texas, North Carolina, and Baylor. Jackson’s length is outstanding. He’s also fast, showing the speed to repeatedly chase down plays from the backside on his clips. Contrary to what his current build might suggest, he is not just a speed guy. Jackson surprised me with his willingness to get physical and engage blockers, along with his wiry strength to discard them. In my opinion, Jackson has the most upside as a pass rusher in the class. Texas, Oklahoma, and Arkansas are expected to be major players in his recruitment. Watson is very developed physically for a 15/16-year-old. He is quick, violent, and does an exceptional job of disengaging from blockers while keeping his eyes on the football. His school plays him as a down lineman in a 3-man front, but Watson is easily projectable as a stand-up LB hybrid with his athleticism. He is already holding offers from most of the regional powers and has been a visitor to multiple in-state campuses, including Texas. Burris and Landon Jackson being on the same Defensive Line in high school is hard to imagine, but it’s a reality. While Jackson is purely an edge guy, Burris has a body that will likely allow him to play multiple spots along the line, with the interior possibly being his final home. I was shocked when I saw him making plays on bubble screens from his DE spot, he is an excellent athlete at his size. Burris has a chance to be special at the next level and will be scheme versatile. I think he’s a guy that is looking to play in the SEC. I assume that Brown wears #10 because he is a fan of Ed Oliver. Similar to Oliver, Brown lacks prototypical size that he is able to compensate for with elite quickness and excellent hands. Brown appears to be an explosive athlete on tape that displays some very good functional strength while being a disruptive presence along the LOS. Brown recently transferred schools (Dallas Kimball to North Forney) so his recruiting process may begin a little later than some his peers. Nevertheless, he is big-time 3-tech and the offers should start rolling in soon enough. A Maxpreps All-American, Adeleye already has offers from most of the P5 big boys. His functional play strength stands out on tape as he repeatedly jolts opposing blockers on initial contact. Adeleye does a good job with his hands and plays the run like a grown man. He doesn’t have a great first step, nor does he show much in the way of snap anticipation. He’s without a doubt a high-quality prospect, but I don’t feel like he has the same upside as a few of his peers in the class as a pass rusher. Adeleye is high on Texas and Texas A&M early. Ugoh is rangy, athletic, and very twitchy on tape. At roughly 205lbs, his high school plays him out of position as a 4i down lineman, yet he is able to still excel along the interior. He projects as a guy in the future that will be able bend the edge as well as stand up and play in space. His body isn’t even close to what it will ultimately become. Ugoh has some high upside as a pass rusher at the next level. Banks is a big, athletic piece of clay. He’s got very long arms that you can see while he’s in his stance, good feet, and a very powerful initial punch. Banks is going to have a lot of scheme versatility as his body continues to grow. He doesn’t show many tricks in the bag of pass-rush moves at this stage. Jackson is a Strongside DE that could potentially grow into a 4i. Jackson doesn’t know how to properly use his hands or show many moves on tape yet. Similar to E’Maurion Banks, he’s been getting it done on size and athleticism alone. High ceiling prospect. Crownover is under-the-radar playing at the 3A level out in Grandview, TX. He is a long-term project on the football field that could end up paying big dividends for a staff that can afford to bring him along slowly in college. He checks all of the athletic boxes that coaches look for. A standout basketball player, Oklahoma State was to first to offer Crownover back in January. More offers are heading his way this spring and I’ve heard that he could also be recruited on the offensive side of the ball as a Tight End. Similar to Prince Ugoh (although he doesn’t show the same heavy hands), if you can get over how skinny he looks at this stage, Jackson projects as a stand-up edge rusher with his impressive first step and relentless pursuit of the football. He was a unanimous 1st Team All-District selection after recording 9 sacks and 16 TFLs as a Soph. He has a better understanding of how to use his hands than many of the bigger names on this list. He could be a name to watch depending on how his body fills out. Erwin plays on the interior for 6A power Lake Travis and is more than able to hold his own while being undersized for the position. He has a very high motor that he pairs with above-average closing speed. His best fit will likely be as a 4-3 DE at the next level. E’maurion Banks will get most of the headlines and has the highest upside, but Wetzel is currently the best player on the Rider High School defense. He’s listed at a similar Height/Weight as Roderick Brown, but Wetzel has a much thicker lower body and has an ability to anchor against the run better than any other DT that I’ve seen so far for the class. Look at the listed size and then watch his clips. If he is able to keep that athleticism over the next few years, he will belong at the top of this list. Jones and Elijah Bowser are two guys that I am going to make a priority to go see in person next fall. Just as we did with the Defensive side of the ball, here is the projected depth chart for the offense and some key players to look for in the spring game. – I’ll begin at the quarterback position, though not for the reason of years past. Sophomore-to-be Casey Thompson impressed in the spring game last season, however seeing signs of improvements in awareness, anticipation and overall play is going to be a big confidence boost at the position heading into the fall. – Also, the highly touted early enrollee QB Roschon Johnson will be on the big stage for the first time in front of most Texas fans. Johnson is raw, but could very well be the most talented quarterback on roster due to his gifted athletic ability. – Coming off the most recent scrimmage last weekend, the two MVP’s of the scrimmage both came from the RB position with the electric Keaontay Ingram and Jordan Whittington. The two guys have been ripping off long runs all spring, something that was lacking tremendously in last fall and their explosiveness will be on full display Saturday. – Kirk Johnson being healthy will finally give the Longhorn faithful a look at what he can do, especially with the position being thin, he could potentially carve himself a nice role next fall. – What type of packages the Longhorns throw out during the scrimmage. Texas has a plethora of talent at the position and is stacked at the X WR position. How they maximize talent on the field may not be displayed in the spring game just so Tim Beck doesn’t show his hand too early, but it’s certainly something to keep an eye on for the fall. – Anytime the ball is thrown to Bru McCoy. That’s all. – Watch for how fluid Malcolm Epps is in and out breaks. Is body control is very impressive thanks to his basketball background and his high flying pedigree is an insane addition to the offensive arsenal. – Will Denzel Okafor finally showcase his ability and lockdown the right guard spot? – There is a big battle for who the first-guard up will be once Parker Braun arrives on campus. Tope Imade and Junior Angilau have been battling all spring for reps with the first team at left guard, and an impressive performance in the spring game will go a long way towards coaches’ confidence in the fall. – The development of Reese Moore and Christian Jones will be on display as well. Both have received great reviews and Saturday will provide a great idea of what the future of the Texas offensive line will look like.